So many devices, so many remotes. What if we told you that you could ditch them, and instead control everything from your phone? This concept is now a reality, thanks to the AnyMote Home Universal Smart Remote. For a limited time, this next-level device is just $74.99 from TNW Deals. With the AnyMote remote, the utmost convenience right at your fingertips. 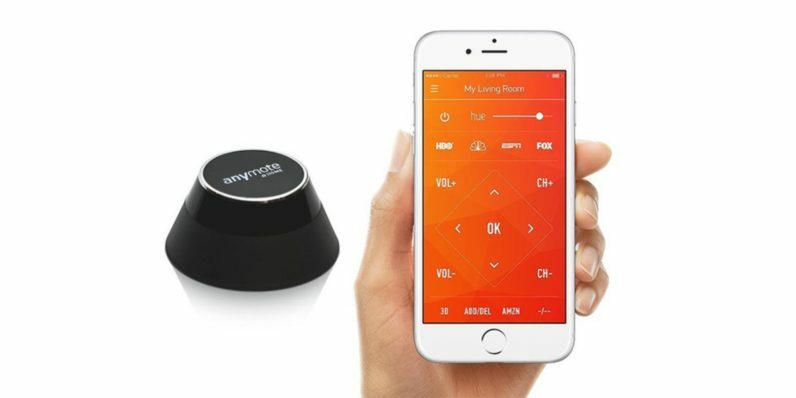 Picture this: your TV, lights, game console, and more, all controlled remotely from the AnyMote — or your own phone, via the AnyMote app. Almost all infrared and Wi-Fi enabled devices are compatible with your AnyMote, meaning you’ll never waste time hunting for remotes or batteries to power them. AnyMote replaces their functionality with a simple, internet-connected central control that you’ll find indispensable. In addition, the AnyMote connects seamlessly to Amazon Echo, allowing full use of Alexa’s voice activation feature. You’ll be able to issue simple voice commands for everything from switching on some music the second you get home, muting your speakers during a call, and much more. Welcome to the high-tech world of modern convenience. Pick up the AnyMote Home Universal Smart Remote at 46% off retail from TNW Deals, with free shipping to the Continental US included.